Our company has been established for over 60 years. 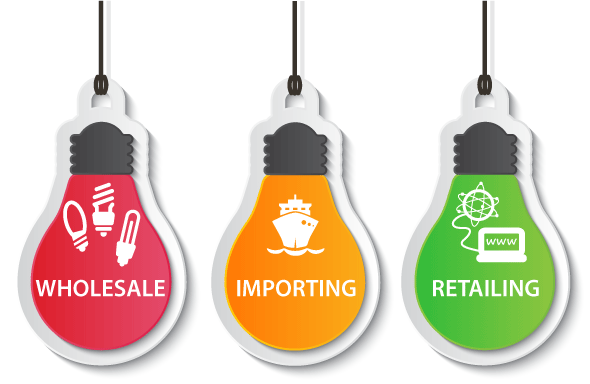 We are known as a lighting and electrics wholesaler in the Japanese electrical sales industry and are implicitaly trusted by our clients. We have over 10,000 items in stock at any time and held in our four storey warehouse. We have lighting, electric materials, air conditioning, ventilation fan, electricity transformation surroundings, air conditioning equipment, liquid level control relays, LBS fuses and many similar items. Wholesale of lighting and electric materials and air conditioning. Importing flashlights, stage and theatre lights and controllers. Direct sales thorough our online shop 'Akaricenter' in Japan.